If you read the first part of the article alone you would see how important a good controller is in a SSD and you would no ask his question probably, plus SSD's use the flash in parallel where a bunch of USB drives would not, the parallel thing is also mentioned in the article. And USB has a lot of overhead actually on the system, both in CPU cycles as well as in IO interrupts. You are right, the controller is very important. I think caching about 4-8 gig of most often accessed program files has the best price/performance ratio, for improving application load time. It it also very easily scalable. 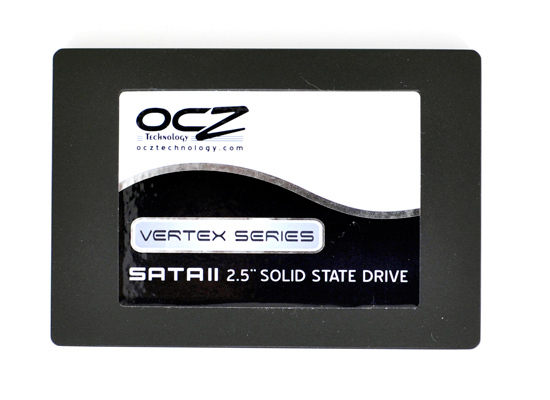 One of the problem I see is integrating this ssd cache in the OS or before booting so it act where it matter the most. I think there could be a near x25-m speedup from optimized caching and good controller no matter what SSD form factor it rely on. SD, CF, usb , pci or onboard. Why it seams nobody talk about eboostr type of caching AND ,,, on other news ,,, Intel's Braidwood flash memory module could kill SSD market. I am quite of a performance seeker. But I don't think I need 80gig of SSD in my desktop,just some 8gb of good caching. Mabe a 60gb ssd on a laptop. Not that it's not a good article, although it does seem like 2 articles in one, but what I miss is getting to brass tacks regarding the filesystem used, and why there isn't a SSD-specific file system made, and what choices can be made during formatting in regards to blocksize, obviously if you select large blocks on filesystem level a would impact he performance of the garbage collection right? It actually seem the author never delved very deeply into filesystems from reading this. The thing is that even with large blocks on filesystem level the system might still use small segments for the actuall keepin track, and if it needs to write small bits to keep track of large blocks you'd still have issues, that's why I say a specific SSD filesystem migh be good, but only if there isn't a new form of SSD in the near future that makes the effort poinless, and if a filesystem for SSD was made then the firmware should not try to compensate for exising filesystem issues with SSD's. I read that the SD people selected exFAT as filesystem for their next generation, and that also makes me wonder, is that just to do with licensing costs or is NTFS bad for flash based devices? Congratulations on another fab masterclass. This is easily the best educational material on the internet regarding SSDs, and contrary to some comments, I think you've pitched your recommendations just right. I can also appreciate why you approached this article with some trepidation. Bravo. I'm thinking of setting up 2 160GB x25-m G2 drives in RAID-0 for Win 7. I'd simply use the ICH10R controller for it. It's not so much to increase performance but rather to increase capacity and make sure each drive wears equally. After considering it further I'm wondering if SSD RAID is wise. First there's the eternal question of stripe size and write amplification. It makes sense to me to set the stripe size to be the same as, or a fraction of, the block size of the SSD. If you choose the wrong stripe size does it influence write amplification? I'm aware that performance should increase with larger spripes, but I'm more concerned about what's healthy for the SSD. Do you think I should just let SSD RAID wait until RAID drivers are optimised for SSDs? Thanks for reply. I definitely hear you about the TRIM functionality as I doubt RAID drivers will pass this through before 2010. Still though, it doesn't look like the G2s drop much in performance with use anyway from Anand's graphs. With regard to waiting for 320 GB drives - I can't. These things are just too enticing, and you could always say that technology will be better / faster / cheaper next year. I've decided to take the plunge now as I'm fed up with an i7 965 booting and loading apps / games like a snail even from a RAID drive. As far as I know drive spanning doesn't even the wear between the discs. It just fills up first one and then the other. 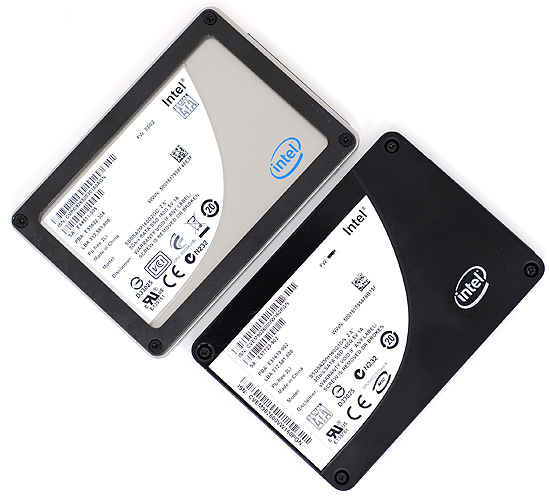 That's important with SSDs because RAID can really help reduce drive wear by spreading all reads and writes across 2 drives. In fact, it should more than half drive wear as both drives will have large scratch portions. Not so with spanning as far as I know. If you are not sure, then why do you assert such things? I don't know about Windows, but at least in Linux when using LVM2 or RAID0 the writes spread evenly against all block devices. That means you get twice the speed and better drive wear.